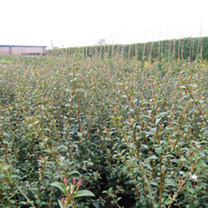 Cotoneaster franchetii is a great option for shady or coastal sites. It has grey/green evergreen foliage between which stand blush-white flowers in the spring, followed by orange berries. It is ideal for attracting wildlife and will add lots of interest to the garden, as the birds feed on the orange berries. Flowers June-August. Bare root plants grow 20-40cm per year. 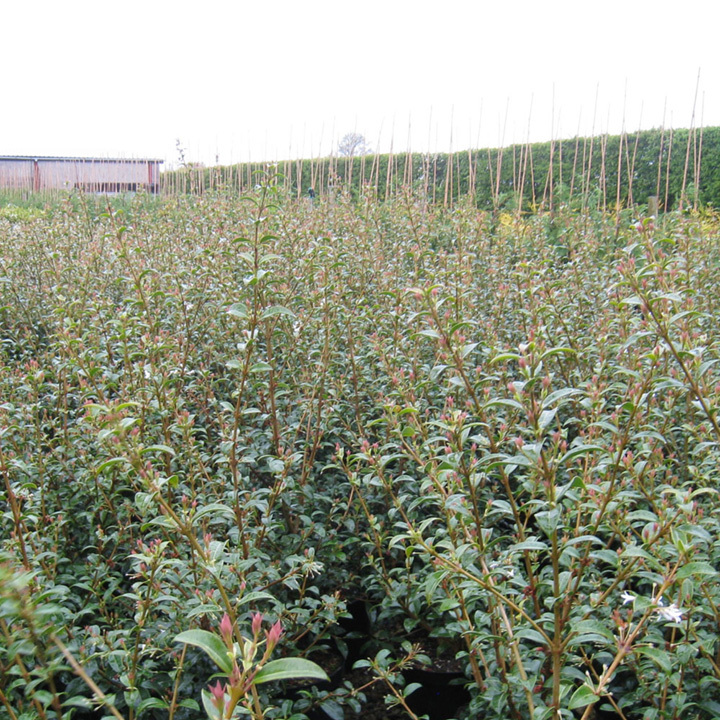 Cotoneaster franchetii is a great option for shady or coastal sites. 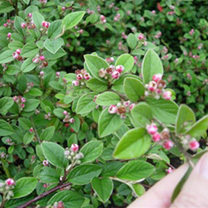 It has grey/green evergreen foliage between which stand blush-white flowers in the spring, followed by orange berries. It is ideal for attracting wildlife and will add lots of interest to the garden, as the birds feed on the orange berries. Flowers June-August. Bare root plants grow 20-40cm per year. Available in packs of 25 or 50 bare roots. Bare root plants grow 20-40cm per year. Plant 5 plants per metre. Grows well in sun or shade. Attractive to wildlife.